Now you can order pre-mixed paint from us. Please contact us for more. There are some – may I say – rather expensive paints on the market that you can use to build a DIY screen. In this article, I will show you how to get the materials yourself, mix the paint, paint the screen and hang it. Please note that this is a fixed frame projection screen, which means it is not really possible to paint a roll-up screen with the below method. There are a few options on where to paint the screen. If you have the wall-space you can paint the screen on the wall with a black frame or even paint the whole wall with the paint mix below to create an invisible screen… until the projector is turned on that is. Paint on 3-5mm foamex / forex PVC sheets. These sheets are really light and easy to work with. You can nail them to a wooden frame for hanging or even nail them to the back of some bookshelves. 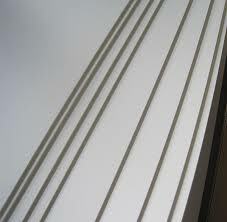 Any other rigid material that is paintable. You can calculate the screen size you need at http://www.projectorcentral.com/projection-calculator-pro.cfm and get the materials cut to size, leaving enough outer rims for nailing and hanging. A matt white water based paint. Any will do such as the Dulux Wash and Wear Matt white. The most important thing is that it is water based and matt. 2L is plenty for upto 140″ screen. You will need to ask the paint to be tinted using black paint to a grey to a shade of N7.8. If this is not possible an N8 will provide the right shade of grey also. If your trade centre doesn’t know how to tint paint using the N tint codes, ask them to call Dulux or a Dulux Trade Centre. 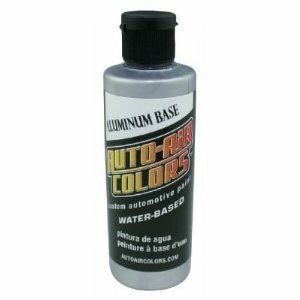 You will need Auto-Air Colors 4101-16 Aluminum Base Fine paint, which is a water-based silver paint formula. You will need 4 parts white paint to 1 part Auto Air Colors. If you’re using 2L of white paint, this will mean 480ML of Auto Air Colors. Be sure to buy the “fine” coarseness. Using the paint mix, you will paint the surface with the roller in one direction only (vertical or horizontal) using quick movements. Go over it once quickly. Do NOT go over the surface again until it has dried. Once the first layer has dried, use the fine sandpaper to remove any imperfections from the surface. Remove any dust created by the sanding using a duster or a dry cloth. Repeat until you have at least 4-6 coats and a smooth even surface. Let the screen dry out completely before using it. The mix above comes out to a light to medium grey that is perfect for rooms with light coloured walls and bright projectors. It rejects ambient light well and has great contrast characteristics with the lights off as it rejects reflection from the light coloured walls. If however, you are building a dedicated home cinema room with dark or black walls and you don’t intend on using the projector in ambient light, and you have a projector with great contrast (such as a JVC), you will want to mix a slightly lighter mix. For a lighter mix, simply tint the white paint closer to N8.5, N9 or even N9.5. For 3D projection, which needs a lot of light, you could even try mixing with only a white base, as opposed to grey. You can create a darker mix by mixing more black. You can ask Dulux to mix N6.7 as a base grey and then just add the silver. I have a 14×20 foot dedicated theater room with a Panasonic ae8000u on a aeon elite 135″ screen. Zero edge. Even though I painted my walls and ceiling absolute flat black I am still not happy with the black levels/contest. My first screen I made at my last house was 140″ with a flat white as a base a faux glaze mixed with acrylic silver. It turned out pretty good. In fact I think it turned out better than my current elite screen. I don’t have dark carpet Terry, but want to make something better if it will truly be better. Thoughts? If you have truly done everything you can to control reflection off surfaces and you are only watching the projector at nighttime, or in a fully darkened room, you should look into closing the manual iris of the projector or using an ND filter. It sounds like the black level is now about lowering light output if you can. Otherwise you can use a grey screen to do the same… and allow for better light rejection with some light in the room. Previous Post What is Room Equalisation (EQ) and why should you care?